A video presentation of the novel’s story and setting can be seen on YouTube here. The wolf pack had been gathering all day under the watchful eye of Tawnia, the mother, and were about ready to head out. Her mate Lobo, the tribe’s great white alpha male, experienced in the ways of Men and the natural world, would lead them. If they walked all evening and most of the night, they would travel beyond the perimeter and out of danger. In the Park they were protected; out there their lives were not safe because Man and they didn’t always get along, It was a risk they had to take. Staying behind was for the aged or sick. The young were hitching rides with cousins, allowing aunts to carry them in their mouths. Never in Tawnia’s time had she seen such cohesion and trust within the pack: young warriors were cowtowing, behaving like wise old beasts, just this once. They knew something big was afoot. Lobo’s instinct was pure; his decision contained wisdom beyond their own limited view. They trusted him to lead them to safety. He called the Elders together and they agreed. They had to leave the camouflage and protection of their Yellowstone home and take their chances in desert night temperatures because Lobo had read the signs and Yellowstone was telling them to leave: west across the desert, through the badlands lay sanctuary. There a new home beckoned. Lobo knew. Now the young had practiced and could imitate and howl the name of their destination. Back at daybreak, Lobo called together and addressed a conclave of Elder wolves, experienced in the ways of canis lupus. They all agreed. Craters of the Moon was close, but barren; lava beds had a familiar smell but supported little wildlife. They would have to go farther to find the perfect place. They may be of Wyoming stock, their strength in their connection to volcanic timber slopes and grassland, but their experience was gained in richer territory. Expert and lethal at trapping niche animals in a familiar shared habitat. Specialists in foraging as a posse. Community skills handed down, kept their tribe alive and strong for ten generations. Lobo’s direct ancestor founded the dynasty. Nine-times-great grandfather had been a traveler, himself: descended from New Mexico’s original and celebrated Lobo, the great wolf emulated by teenagers; one of whom even human beings had heard. He, a son of the Great Wolf Spirit, inspired respect. Much had changed since Man created the first National Park in their hunting grounds; some Elders believed and hoped that ethos of the original parks was alive and active in the human young. More senior Elders felt Man had not yet learned to put aside his ancient fear of Wolf. It was even said their Ranger friends in the old homeland were persecuted in their stead for allowing Wolf to return. Elsewhere in this great country, canis lupus was, if not extinct, definitely rare and there were few areas where they and domestic animals shared territory. But Yellowstone was a milestone park, even if it was about to die, and there was talk among humans of giving wildlife a fairer portion, a more sensitive sharing of habitat, of a new kind of park where the lion might lie down with the lamb. Even Abuela had heard such talk and encouraged Lobo before departure to head for the most dreamed-of location because dreams come true. Oregon had volcanoes, people there were also descended from original pioneer stock and a place would be found. After Lobo patiently explained her words, they listened thoughtfully to her opinion and came to a consensus. There was no doubt about the Elders’ decision. They were agreed their aim was for Three Sisters. There the Great Wolf Spirit would provide a place for them. A couple of hours later, the pack was on the move. Only Abuela, the old grandmother, stayed in her den. If Lobo’s guidance proved less than accurate or the crisis was somehow averted, they would return to her. Age gave her resignation. She watched without blinking from her rock ledge, head between outstretched paws. As she saw the last straggler leave, her eyes closed. When I wrote this, who would have known that the Bush administration would cancel the US Endangered Species Act and allow wholesale murder of Wyoming and Yellowstone wolves. Wolf killing continues as a ‘sport’ in March and April 2010-2012 in Wyoming and Idaho. 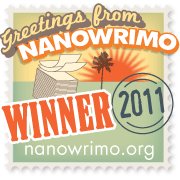 I entered SHASTA: CRITICAL MASS in James Twyman and Robert Evans’ 2010 spiritual author competition, Nexttopauthor.com. The video presentation was created at that time. Another excerpt –which gives more of the novel’s volcanic flavor– can be accessed here. ‘SHASTA: CRITICAL MASS’ has been picked up by AllThingsThatMatterPress for publication during 2012. I continue to encourage all genuine interest from agents who may wish to represent the novel with its déjà vu scenario and may feel its publication is prescient. I may be contacted via this page. Thank you. In the ancient world, long before Man’s civilized overlay and 5,000-year male-dominion, there were the Sun, the Moon and the Earth and the Earth was the Mother. Seasons guided formative cultures who measured time by movement of the moon, sun and constellations, creating permanent power places at energetic nodes in the landscape. In ancient Britain neolithic farmers, most remarkably within the Wiltshire magnetic basin, rolled and erected giant monoliths in difficult terrain to mark changes in the calendar (and solar energy) with a series of fire festivals: hinges of the seasons were celebrated with fire like doorways into dying or rebirth. When farming was in its infancy, Harvest time – ancient Lammas, Lughnasad, August’s festival-of-Light (Lugh) – went on for weeks, celebrating the Mother’s generous provision of food, sustaining and nurturing vulnerable embryo farming communities. The Sun’s power was waning, but the Earth was at her peak, her most abundant. Harvest was a sacred rite of bounty: first sheaf cut, the Maiden or Virgin, was blessed, honored, paraded in the fields and then kept over winter indoors until planted – again ritually – in the first tilled furrow of spring. Along with harvest and farming generally, the Maiden sheaf has been trivialized: she is now the ‘Corn Dolly’. Scythes have become combine harvesters, man-made behemoths which decimate hectares in half an hour; spewing grain into giant dryers whose contents turn up on Tesco shelves a week later as bin-end ‘specials’. Gone are the female earth-mothering images: Halstatt figurines of pregnant femininity now reside in museums, carved stone balls inspired by the spiral of creation gather dust in archives along with Man’s ancient knowledge. Celebrations reenacted in our digital age for tourists and late-summer ‘revenue’, are pale shadows of a time when community meant working together to bring in the harvest and throwing a party afterwards. Harvest thanksgiving has now no meaning. Virgil, the Roman poet (70-19BC) wrote of a time when ‘the Virgin and the Golden Age (age of Saturn) will return’ (iam redit et Virgo redeunt Saturnia Regna). We may now live in those ‘End Times’ on a planet ravaged by war, famine and pestilence; a male-manipulated pendulum of food mountains and shortages, of deadlines and death-defying daily forays on the freeway; but the feminine may yet have ways of filtering through consciousness into the most hardened of masculine endeavors. The right hemisphere of the brain is rising again, demanding we look in places long hidden. In one corner of our consciousness we are seeing signs in the heavens which astrologers predict as a coming together of the Virgin and Saturn; the sun and ringed giant are presently in the zodiac sign of Virgo: with upheaval and change seen as major factors. But it can also be seen as archetypal male and female convergence. In another corner we are receiving reminders to appreciate the earth; from matriarchal cultures, like the Maya who have not forgotten their past, shaman leaders are speaking again. In a recent message, breaking a silence of 10 generations, their Elders, keepers of the Mayan ‘word’, suggest a melding of hemispheres – both mental and worldly – as a way forward for the human race. And in an unexpected corner, from within the sacred precinct of England’s most famous prehistoric stones, harvest has taken on a deeper meaning. Since June this year a staggering 70 new crop-circles have appeared in fields of ripening wheat and barley in Wiltshire and Oxfordshire near neolithic sacred sites like Avebury and Sillbury Hill, renowned for ancient goddess worship. Once the domain of fringe UFOlogists, increasingly complex designs forming within a highly erratic magnetic area have triggered discussion from some of the world’s greatest scientific and mathematical minds. A code sequence emerges alternately suggesting an imminent human epiphany or activation of planetary DNA. And they and the fields where they lie are getting a lot more attention. Numerologists were minimal when an ‘Om’ design appeared in a crop in July 7, 2007 – 07-07-07; by 2008, sophisticated symbols were increasing and by August 8 – 08-08-08 – an infinity symbol caused a stir. Whether subliminal or actual, crop circle messages were beginning to trigger a change in human consciousness. People flocked to the sacred sites of Wiltshire and Hampshire as soon as summer began. Crop-circles, writing in the corn, back to the earth: human awakening; Native American belief that the way forward is in the melding of ancient knowledge with modern capabilities: All point toward a vision of the New Age: that through respect for the Earth as giver of life and by cherishing our own female intuitive powers (both men and women), we regain insight into our purpose here and simultaneously arrive at the long-awaited Golden Age. The year 2009 brings mounting excitement, instant coverage from aerial photography, world media attention. Designs appear in June more complicated and beautiful than the world’s greatest minds might devise. A plethora of new crop circles throughout July have followers on the edge of their seats, waiting for what will happen next. August starts well: designs and embedded code more complex than ever. Thing is: there have been no new crop circles since August 16th. Nothing. Nada. Zero. Major disappointment in croppiedom; huge let-down for consciousness collectives. Harvest is well advanced in the fields of Wiltshire. What are we waiting for? The answer may lie in our collective unconscious: the New Age unfolds; Saturn returns to stand with the Sun in Virgo. Around about September 9th this year – 09-09-09 – if there are any fields left unharvested in the countryside around Avebury, Sillbury Hill or West Kennet Long Barrow we may be witness to something none of us can remotely imagine. We did it. We transitioned through the Gate. That’s what they say. On 8th August this year – 08-08 – g8-eight – we as a species ascended. Along with our habitat, our flaws and our failings, our flashes of genius, we and our planet ascended into the fifth dimension. It’s been predicted for centuries. All major religions have a cosmic beginning, a human middle and a cosmic end. The Maya, for instance, didn’t do things by halves. They decorated their pantheon with gold and revered their gods for their mathematical skills. They made it into a science: their calculations are vast, their calendar precise. Not only that, it is beautiful. Mathematical functions appear as images. Calendrical pictograms ending in the year 2012. Human consciousness has been greatly influenced of late by the calendar. In 1969 a large section of the world’s youth population believed that they were creating a new world. ‘Silver people on the Shoreline Let Us Be’ are words from the Crosby, Stills and Nash song ‘Wooden Ships’ composed that year. Richard Alpert, West Coast philosopher became guru, Baba Ram Dass. Forty years on, we celebrate this week the anniversary of Woodstock; music from a magical time reenters the sphere of consciousness; there is a nudge from Father Time: Cronos, Saturn, ruler of the universe, for humanity to wake up and get on with it. Saturn is said to move through each astrological sign once in 30 years. So, as a species we’re already 10 years past our Saturn Return, overdue for our awakening. The Earth waits for us to move into our sacred space within the circle of life, switch on our antennae and tune into the music of the spheres: that motherboard we were always intended to reconnect with. We are after all, the braincells of the planet. We’ve been genetically modified to function as her intellect: our neurones, our DNA merely need the correct activation sequence. Ten percent of our mind’s circuitry is wired, like a computer, ready for the other 90% to wake up and use our god-given powers. The trigger seems to be the recent barrage of electrons being showered in our direction. We are after all energy, a mass of electrons ourselves. We respond to waves of energy like solar wind, ionic disturbance in the light spectrum and minute fluctuations in the planet’s magnetosphere all the time. Since around May scientists agree cosmic rays, solar flares, light transmissions – said by starseed followers to bring new code to activate human DNA – have increased. Even the scientific community concede DNA has the capacity to expand. We, the central database, are capable of assimilating these charged particles as they arrive, but we have to be bright-eyed and bushy-tailed to do it: we’re meant to be on the alert, awake, aware. Be Here Now. For generations ancestral wisdom preached the peaceful life; joy in simple things. When people used to listen to their elders there was a subconscious equilibrium that kept in balance the environment, their surroundings, their world. But the habitat became too restrictive for the new human; he needed to push the boundaries, to expand, explore beyond his physical arena. In the ‘eighties a large chunk of humanity broke off from the home iceberg and sailed into the sunset. I mentioned Richard Alpert. Twenty years previously he, along with a number of his generation, chose to prolong their experience of ephemeral ‘sixties enlightenment and make it a way of life. As Ram Dass he influenced a generation. He and his contemporaries are coming to ‘maturity’; they are ‘the ancients’ now. They are being heard again. Some of the human race, at least, is listening to its elders. Where does that leave the rest of continental earth? Adrift in a concrete ship, adorned with tentacles of freeways and air lanes, looking for a port of call? Thing is: they weren’t set adrift without directions, a guidance system. It is built-in in the system’s consciousness: this is the way home – arrow pointing to nirvana. Some people in the boat are beginning to swither. How does looking for the moon by means of acquisitions bringing them any closer to home? to inner contentment? is it bringing them joy? Some of them are turning the ship into the wind, accessing the guidance system, asking the pilot to turn a lighted beacon to the promised shore. The Jews knew it as the Promised Land. Christians: Heaven-on-Earth. New Agers like Eckhart Tolle call it the New Earth. We train ourselves to rise above the mind and return home to the place we have always been, but have forgotten. According to the Elders of the Maya, the Hopi, Lakota and several other native American tribes, we are due to move through a Shift. Depending on your point of view, this shift is polar, calendrical or as a frame of consciousness. Ram Dass led a swathe of his generation from mind-altering to living beyond mind. One of his contemporaries, Drunvalo Melchizedek, bridges the cultural divide and brings to the Western world oral teachings the Maya handed down to prepare for this time. Both men believe that the Shift is imminent and thousands of groups of New Agers agree with them. While one practice focuses on non-duality and non-attachment as the way to enter heaven/nirvana/the NOW, the other reminds its followers that the way back home is through the Earth, that by giving respect to all beings, or ‘treading lightly upon’ our home planet, we shall simultaneously reconnect with earth’s dynamo, to bring us back into balance with lost knowledge, the key to unlock the secret code to living as we were designed to: in possession of all our faculties, self-healing mechanisms, ability to nurture one another and raise the group mind to the next level. Rainer Maria Rilke (1892-1910) asks us to ‘welcome the new year, full of things that have never been’, suggesting we open our hearts to the concept of possibilities. The ancient East advocated ‘before and after nirvana, chop wood and carry water’. New agers say ‘Expect Miracles’. Either way, it seems a pity, at the dawning of a new era, not to use our full potential. Every summer in southern Britain there is a flurry of festivals – Glastonbury and Glyndebourne do music; Westonbirt and Highgrove flowers and trees; Avebury, Windmill and Sillbury Hill antiquity and sacred sites; and what’s been boosting the numbers in recent years in the sleepy fields of Wiltshire? Over the last five years, literally hundreds of them. At first, in the late ’90s, these phenomena attracted the attention of a few ‘croppies’, varying from hyper ‘alien-message’ advocates, through middle-of-the-road rock bands and film-makers to environmentalists worried about the plight of farmers or the threat to the countryside. A few stalwarts tried the worn-out suggestion of a Victorian lawn-roller led by a man on a string. These overnight appearances usually inspired genuine awe in the passer-by, but remained ‘fringe’ in the eye of the news-creating media. Light planes were chartered, aerial maps plotted, photo-libraries appeared, and theories were advanced. A growing number of people began noticing there seemed more to this crop circle thing than met the eye. Sorry. Quantum physicists stepped in to suggest that the energy level of the Wiltshire-Oxfordshire plain, hemmed in by the Cotswolds, was highly magnetic; others that the Marlborough basin held an impression in wheat and barley stalks akin to iron filings on paper with a magnet held underneath. Seared stems sizzled at the touch of laser beams directed by an unknown source. Croppies from Netherlands and Germany, Scotland and Serbia contributed knowledge from their native soil. Spiritual groups and earth-science majors compared notes and ideas. Suddenly everyone was trying to make sense of the signs in the fields. Then, in the summers of 2008 and 2009, the tune changed. Focus began to center on meaning in the signs. True: in a random sample of beautiful flower patterns, flying swallows, leaping dolphins and variegated insect shapes, there emerged underlying natural symbolism. In mid-June 2008 a crop circle impressed on a Wiltshire meadow displayed a fractal image of the first ten digits of mathematical symbol Pi, with the tenth digit accurately rounded off. Astrophysicists got interested. Fractal image of Pi in Wiltshire crop circle in June 2008 had astrophysicists interested. By summer of 2009 the Avebury-Oxon corridor was swarming with theorists. Not least of these the spiritual activists. They were aided by 5,000-year-old information contained in the Calendar of the Maya which predicted the end of an Aeon, the total human cycle, and the start of a new (Aquarian) Age. It reflected many ancient traditions and world religions suggesting signs from the heavens. Crop circles in 2009 echoed these: videos were filmed of designs created at night by encircling light. Maya and Inca symbols were thick on the ground. In the spiritual camp, attention was focused on an electromagnetic gateway or energy window predicted for August 8. Heralded by a prelude of eclipses, it would jump-start a large section of humanity into fifth-dimensional reality, or so-called NOW-awareness. BE HERE NOW is guru Ram Dass’ favorite expression. His followers and those of other world spiritual leaders now number one percent of the human population; and rising. August 8th on many spiritual social-networks is being called the Infinity Gate. In the week leading up to GateEight, the energy window of August 8, 2009, with its final eclipse two nights earlier, public attention on crop circles and speculation on what might appear reached an all-time high. And the Wiltshire farmland responded. A bee (BE) design came first; then a sun-and-moon orbit, the symbol of an eclipse and a complex pattern of intricate woven pictures seen to predict a date for Man’s ascension according to the Maya calendar of 8Kan, Yellow Galactic Seed, or (Gregorian) November 8th, 2010. Then during the galactic ‘window’ – six days either side of the stargate when the energy door is open to the stars – a series of eights, or infinity if you prefer to see it as eight on its side, embedded themselves in the southern countryside. We are still in the window. The stargate is open and light is streaming through. Last night another rendition of eight or infinity was stamped in a field of wheat. Whether by the consciousness of the stars or, as seen by some, by human consciousness reflecting its own sacred potential, we are surely being given what we asked for.